Ethel's comfortably sleeps 8 (9 if you count the bay window... great for kids). 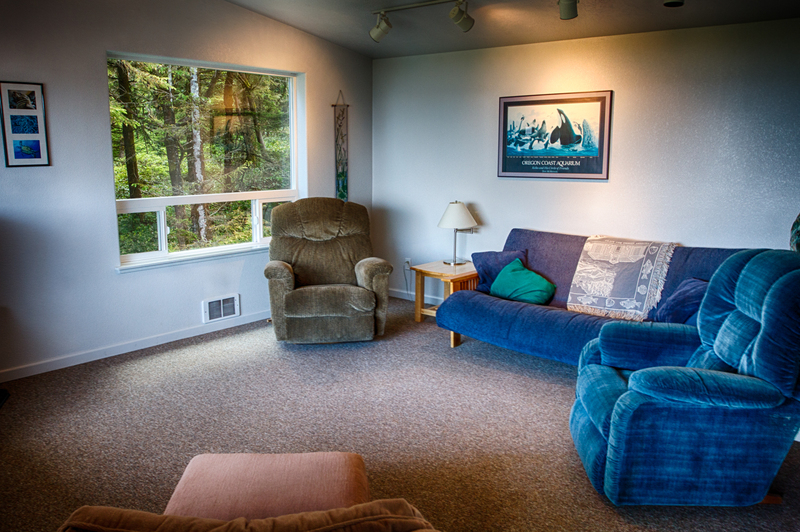 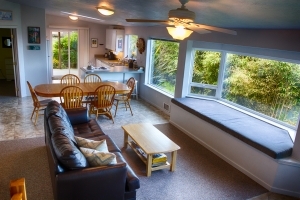 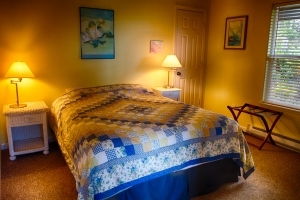 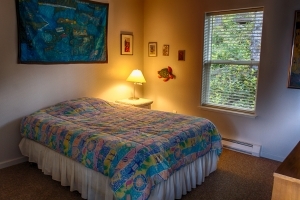 With two bedrooms, each with a queen sized bed, a futon couch in the media room and another queen sized couch in the main living area, there is ample room for everyone. 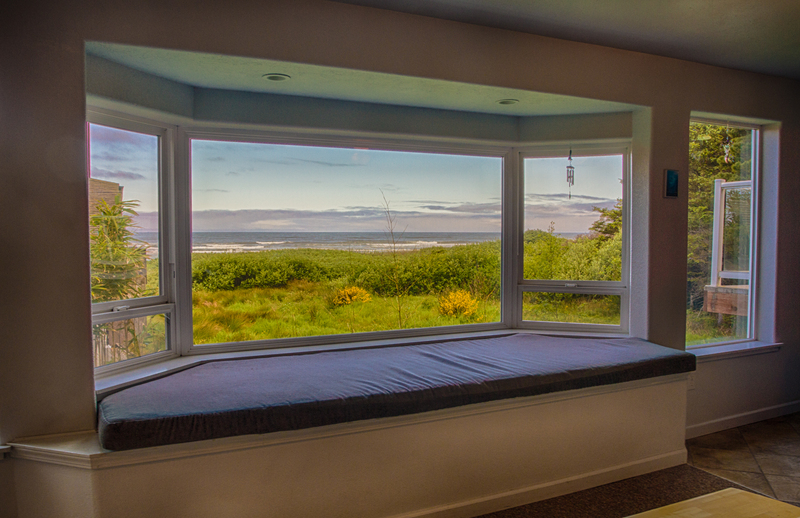 Away from busy roads and traffic, fall asleep to the sounds of ocean waves or in total quiet. Blankets, comforters, and pillows are provided, please bring your own sheets, pillowcases and towels.